Now you can enjoy your favorite music, no matter where you are. The Unique BREEZE (HBT-201) waterproof Bluetooth shower speaker gives you the advantage of superior sound along with music portability. This wireless speaker connects to your mobile phone or music storage device via Bluetooth. This waterproof shower speaker is specially designed for music lovers who cannot stay away from their favorite music. Housed in a sturdy and fashionable body, this compact Bluetooth speaker is waterproof and resistant to harsh weather conditions. Unique waterproof design makes it even can be used in bathroom, beach, swimming pool.. Moreover, it also lets you toggle songs and control the volume. This waterproof shower speakerphone comes with a unique suction cup and a built-in mic with which one can answer calls directly. It has a fairly long play time as it comes with a 400mAh rechargeable battery. 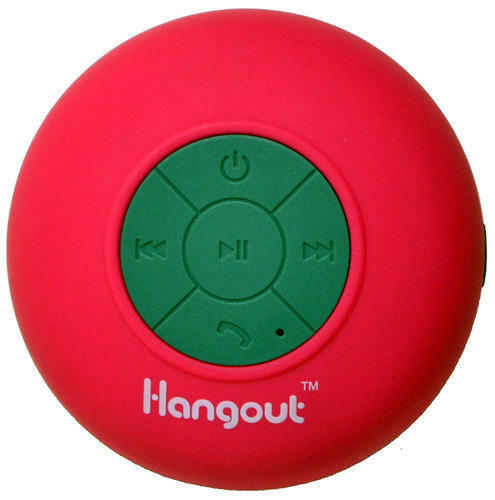 This mini speaker adoptsV3.0 EDR Bluetooth technology, supports Bluetooth wireless music playing, its built-in microphone enables you to have an easy access to hands-free calls. Base suction cup is integrated to be absorbed on the mobile phone, tablet PC or desktop quickly. Supports Bluetooth wireless transmission, built-in microphone and supports hands-free calls. High quality audio decoder chip, let’s you experience perfect audio and music. It’s built-in rechargeable batteries allows you to enjoy your music time anywhere you wantl.